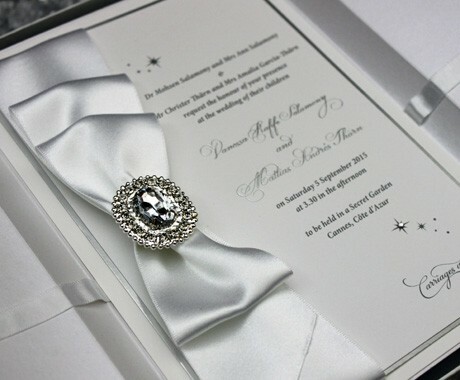 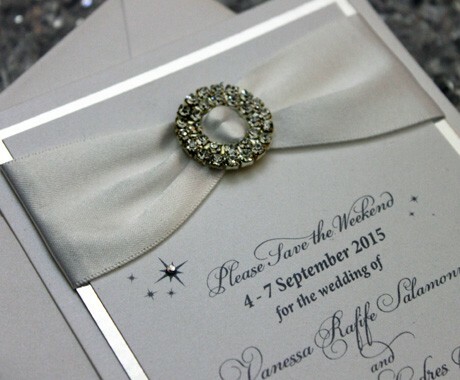 A pure White and Silver colour palette was used for this ultimate Princess Invitation… A gorgeous Diamante cluster set on top of a ribbon sash with a splash of Silver Foiling to accent the couple’s names and Diamante Crystals. 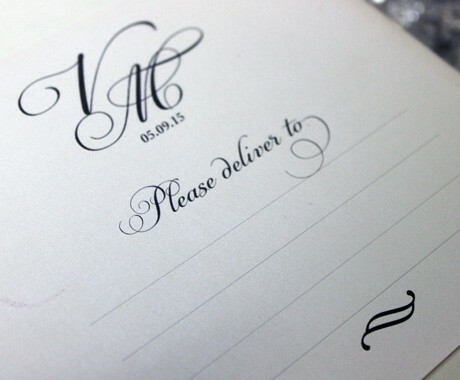 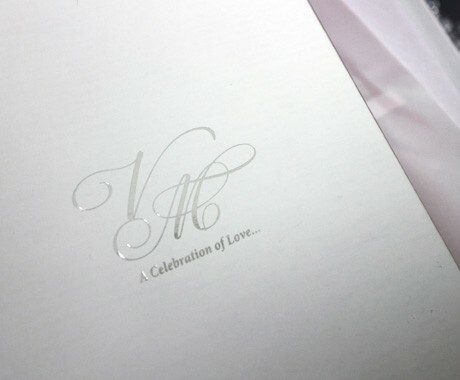 The Invitation was nestled in a bespoke Gatefold held together with a ribbon bow and hidden under a single sheet of shimmery paper, Silver Foiled with the couple’s custom monogram. 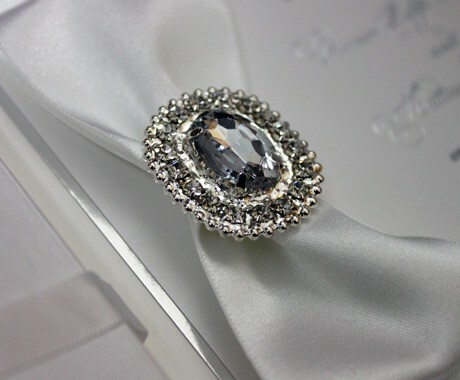 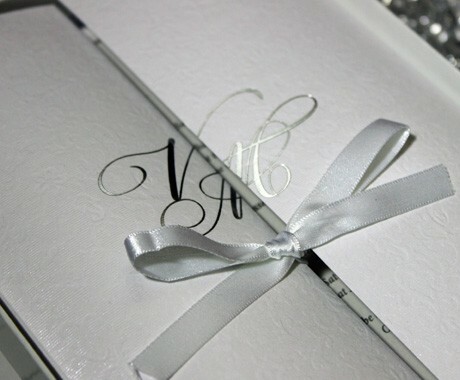 This was all presented in Shiny White box, again with their monogram Silver Foiled to the front of the box. 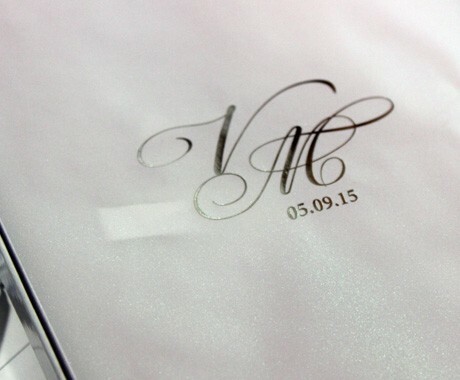 Each box was wrapped in an address wrapper and plastic to be protected protected for the post. 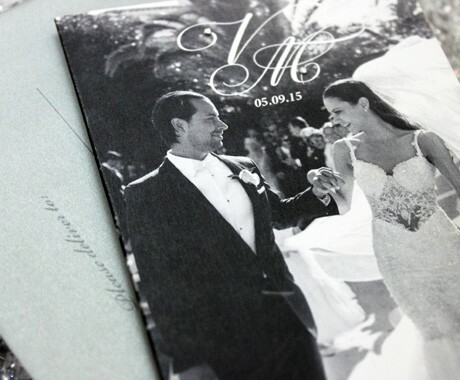 Ahead of the Invitation, each guest also received a Save the Date Card followed by a Thank You Card for attending the amazing wedding weekend.